My dear friend Gonzalo is moving to Mississippi by the end of the summer. 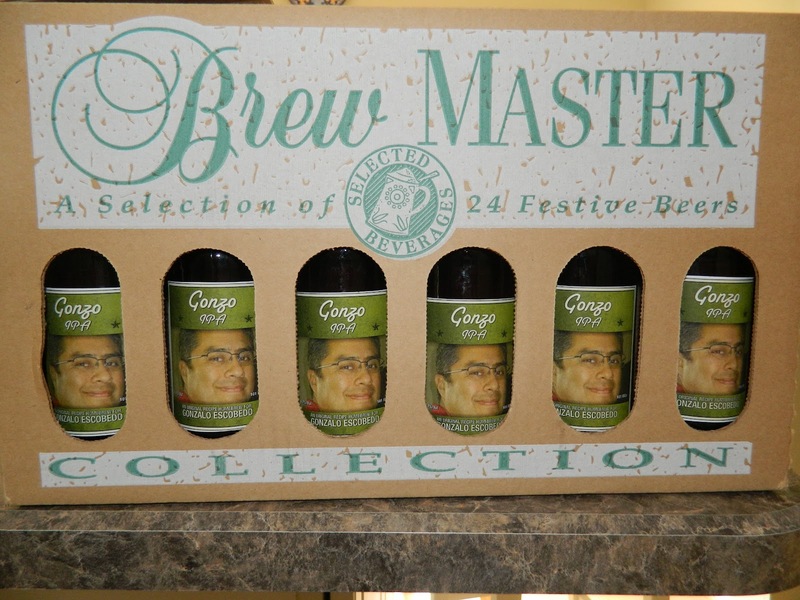 We have been talking about homebrewing for a long time so we had to so something before he left. 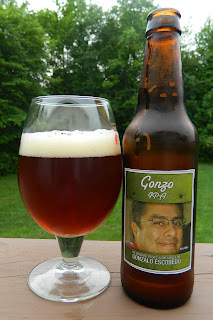 Gonzalo is a huge Hophead; I don’t think you can make a beer too bitter for him. So my goal was to create an IPA recipe that was aggressively hopped but I also wanted it to have some hop complexity and malt balance. 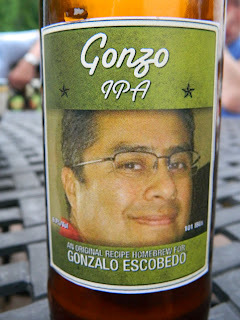 So what I came up with was Gonzo; a 6.7% ABV 101 IBU American IPA. Gonzalo and I had a blast brewing and bottling this beer at his house. It was a little rushed so we could debut it over the Memorial Day Weekend. Several friends were over Gonzalo’s house for the first tasting and a birthday party for yours truly. Here are a few pictures. Hey did you see my picture on this bottle? Ah that intoxicating Gonzo aroma. 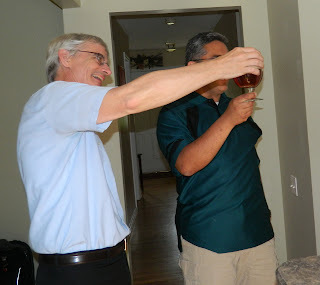 Cheers to Gonzo and Gonzalo! The beer was a great hit. Actually I was amazed that it turned out just the way I wanted it to. Probably beginners luck since this was my first original recipe. 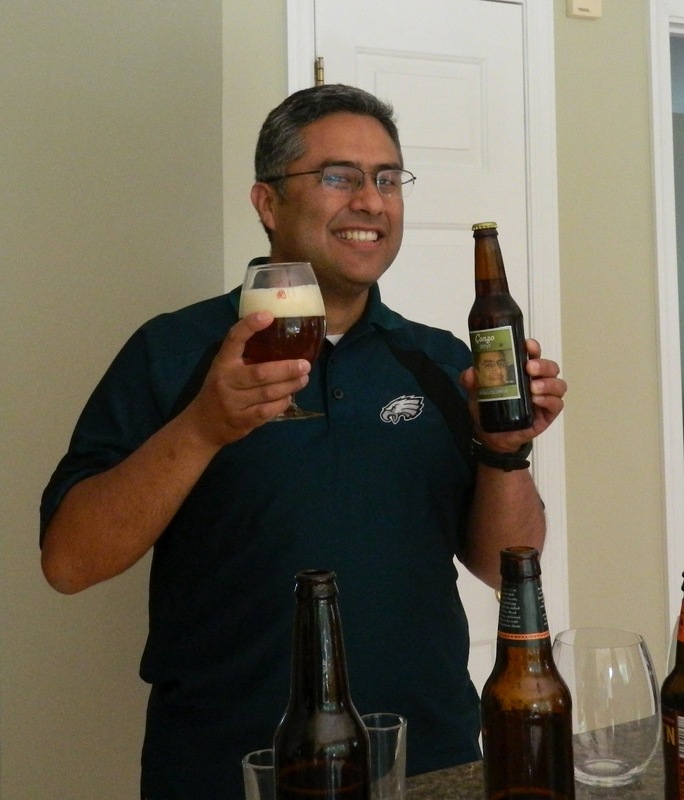 I may do a full review but here is a good idea of the beer’s character. 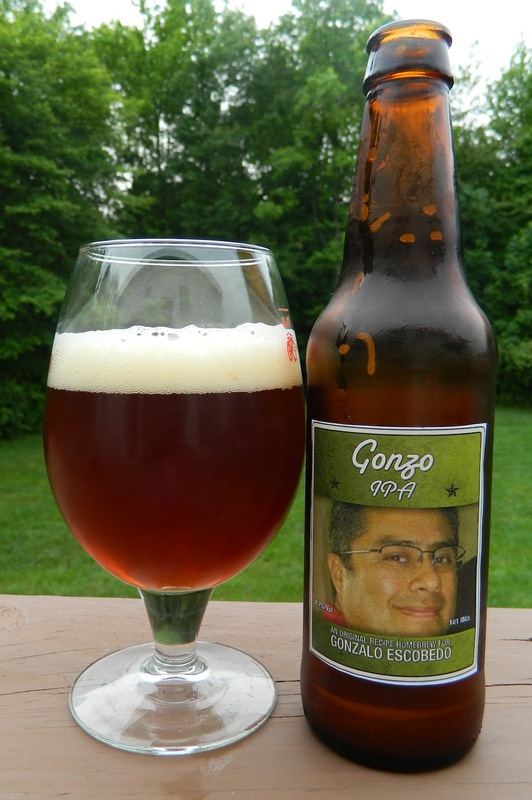 Gonzo is an original recipe American IPA homebrew by John, brewed and bottled by John and Gonzalo. 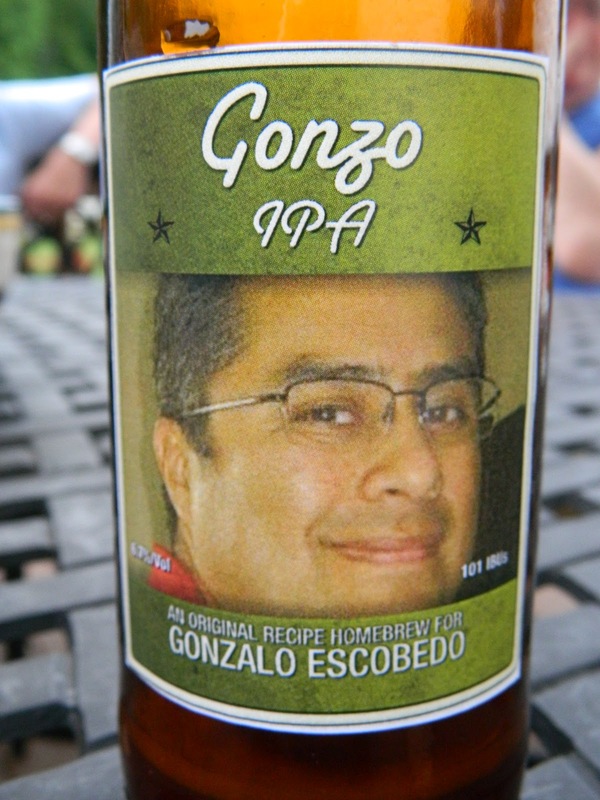 Gonzo is generously embellished with 5 American Hops, Cascade and Chinook for bittering along with Centennial, Amarillo and Willamette for flavor and aroma. Then just for good measure we dry hopped with more cascade and Willamette. The aggressive hops should be moderately balanced with equally generous quantities of American Two Row, Caramel/Crystal and Belgian Aromatic malted grain. 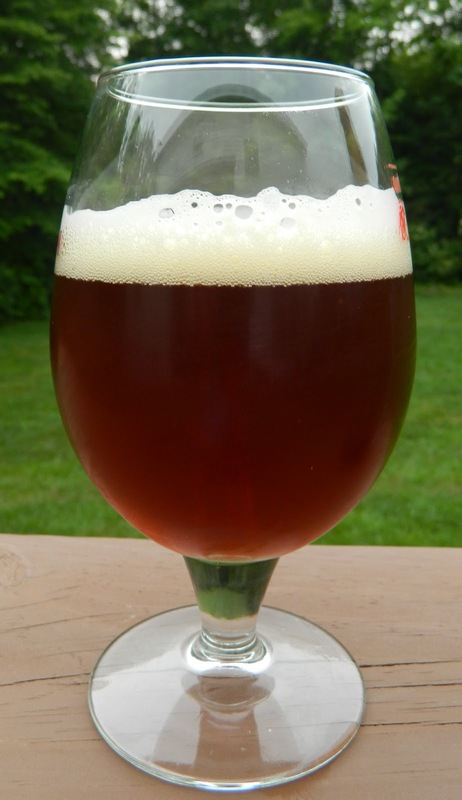 The beer poured a deep amber with ruby hues and a very rich white head. 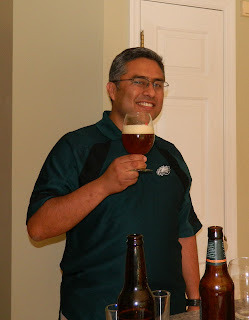 The nose was intense with pine, grapefruit, floral and citrus hop aromas with a hint of caramel malt. The taste was surprisingly good. I did manage to create the hop complexity that I was going for; even the earthy Willamette was noticeable on the finish. 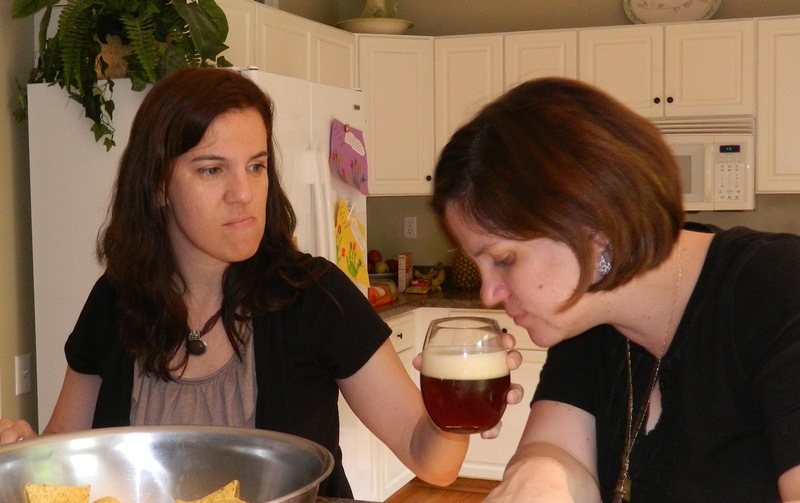 And yes there was a nice malt background to it. Of course the final aftertaste was a lingering hop bite. This whole experience was just a blast. 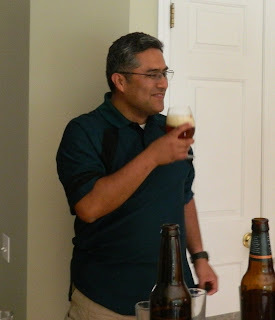 I had so much fun working on the recipe and brewer this beer with Gonzalo. 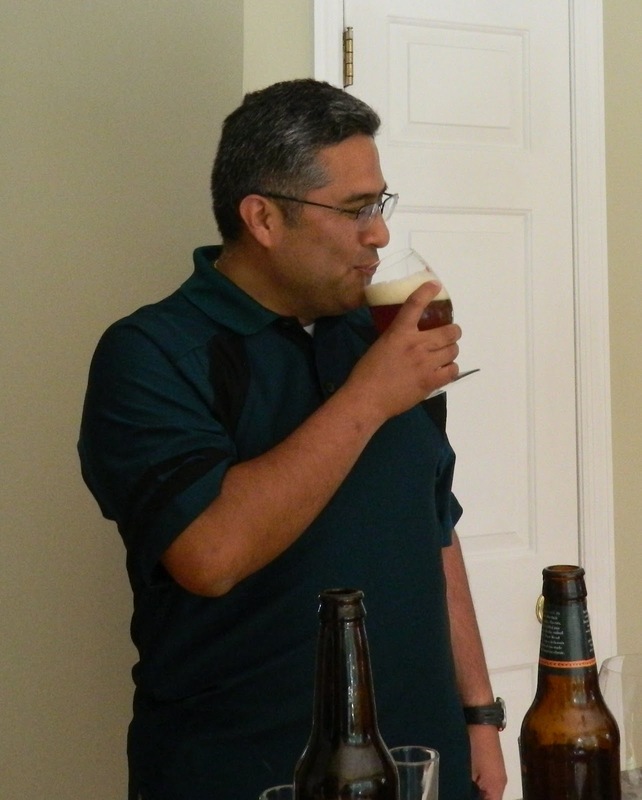 Thank you Gonzalo for being such a good friend and inspiring me to create the Gonzo.